The next generation of armored vehicles based on the Armata and Kurganets tracked platforms will feature Russian-made sight matrices instead of French ones now, Gazeta.ru wrote citing Defense Ministry sources in Moscow. The program of import substitution was launched in Russia in 2014 after Western nations stopped selling important parts and other equipment to Russia over its alleged involvement in the Ukrainian crisis.President Vladimir Putin then ordered the country’s defense industry to speed up the development and production of a number of vitally important “units and parts,” while still allowing them to look for alternative Western suppliers. 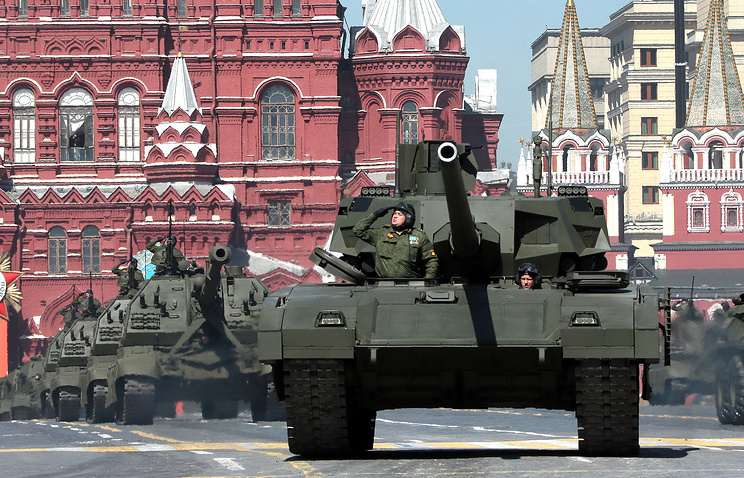 Shortly before the famous showcase of Russia’s top-of-the-line tanks and armored vehicles based on the Armata and Kurganets platforms during last year’s Victory Day Parade on Red Square, the deputy head of the Military-Industrial Commission, Oleg Bochkarev, said that they were 100-percent developed and built in Russia. “We are already working on hardware components needed for mass production of [the next generation of tanks and armored vehicles],” he said early last year. Gazeta.ru learned that by “hardware components” Bochkarev meant, among other things, thermal sights and motion control gear for Armata and Kurganets tanks and APCs. Meanwhile, the Defense Ministry is closely monitoring the process of replacing US, European and Ukrainian-made parts in Russian defense production. ST. PETERSBURG, June 16. /TASS/. Military hardware based on the Armata combat platform is the cheapest among analogs offered by European and US competitors, CEO of Uralvagonzavod armor manufacturer Oleg Siyenko said on Thursday. “Unfortunately, I can’t specify it [the price]. This is not my secret; this is the secret of the Defense Ministry. The only thing I can say is that this is today the cheapest armored vehicle, fi we take our potential competitors in Europe and America,” the CEO said. 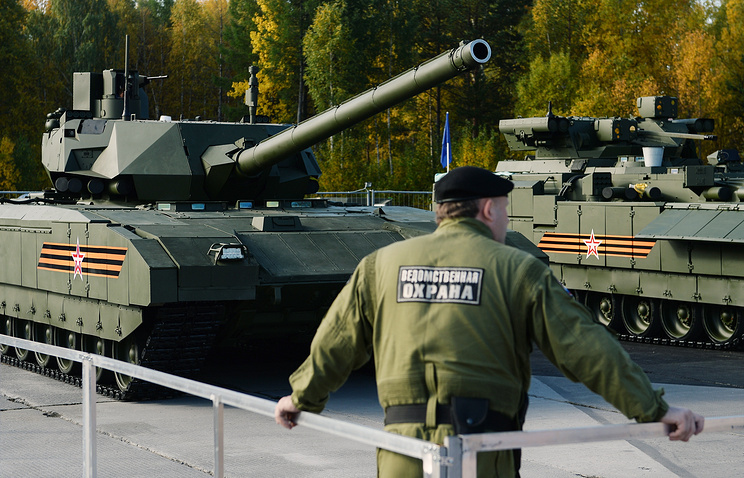 It was earlier reported that the price of tanks based on the Armata platform had been agreed with the Defense Ministry. Armata is a heavy tracked standardized platform serving as the basis for developing the main battle tank, an infantry fighting vehicle, an armored personnel carrier and some other armored vehicles. The Armata-based tank is expected to feature an inhabitable turret and its crew will sit in an isolated armored capsule. The serial production of new tanks may begin in 2018. Apparently impressed by Russia’s all-new T-14 Armata tank, which was showcased during last year’s Victory Day parade in Moscow, many Western countries are looking for ways to upgrade, sometimes even radically, their existing tank fleets. Britain’s BAE Systems has teamed up with several leading arms makers in a bid to extend the service life of the country’s 227 Challenger 2 main battle tanks.The effort will focus to improve the tank’s infrared imagers, the commander’s sight, the fire control system and onboard electronics, Pavel Aksenov wrote for BBC Russian Service. Germany’s Krauss-Maffei Wegmann, the builder of the Leopard 2 tank, and France’s Nexter are mulling a joint venture to develop a new tank to replace the Leopard-2 and Leclerc tanks. Not to be outdone, Italy is going to unveil the prototype of its new Centauro II wheeled tank at Eurosatory-2016 expo in Paris. In January, Poland announced plans to modernize its 128 Leopard-2 tanks, and France said it would upgrade 200 Leclercs. Domestic tank production programs exist in South Korea, Turkey and India, although these countries make extensive use of foreign-made armored vehicles, including Russian.Ukraine too now has plans to develop a tank all its own. Many experts attribute most of these recent tank modernization programs to the regional armed conflicts in the Middle East and Ukraine. 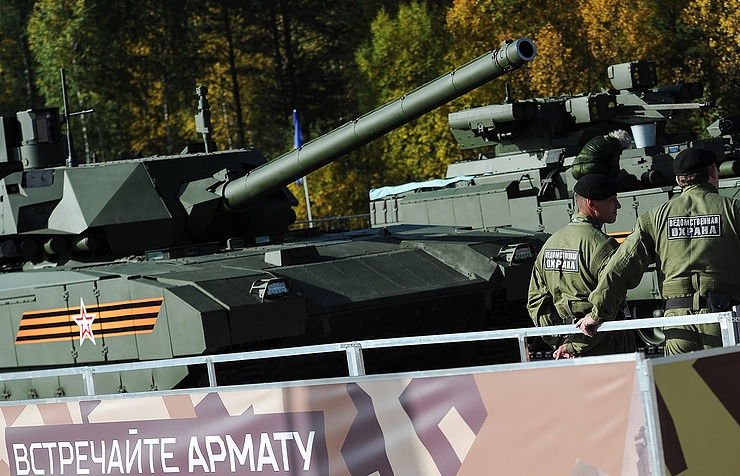 Andrei Frolov, editor-in-chief of Arms Exports magazine, said that the regional conflicts of the past few years had changed the attitude towards tanks. “During all these conflicts, from Syria and Yemen to Ukraine, tanks proved themselves as a formidable means of fire support. Despite some heavy losses, including from antitank missiles, I think it would be premature to say that tanks are now a thing of the past,” he said. The emergence of the T-14 Armata tanks during the May 9, 2015 Victory Day parade on Red Square produces a very strong impression in military experts everywhere. With its unmanned turret, the crew seated inside an armored capsule in the front of the hull and an electronic fire control and communications system, the Armata stands out from the classic tank designs of the post WWII-era.